These are indeed troubled times for health systems all around the world. The burden of chronic diseases is beginning to weigh heavy on their weary legs. I am reminded of darker times in the history of football, when the game was almost brought to its knees by the insidious afflictions of racism and hooliganism. 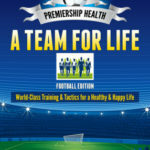 This series of articles looks at how the football tragedies of the 1980s have many similarities with the chronic diseases of today and what lessons can be learnt to improve current healthcare services, as well as improving the way we play the game of life! Football Tragedy, Part Two: Heart Disease – The Towering Inferno! Football Tragedy, Part Three: Cancer – The Enemy Within!